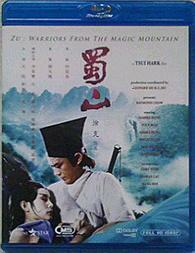 As many know, Zu: Warriors From the Magic Mountain is a Hong Kong 1980s classic. If there is one movie to own from Hong Kong 1980s action cinema, this is one of them. The movie has impressive special effects which are more charming than dated, quick-cut scenes edited in the most creative way that is not even close to being compared to the annoying style found in recent MTV-cut Hollywood films, and non-stop energy from beginning to end. All the actors stand out from the small to main roles. The choreography and movement of the actors, action, special effects, and scenes all blend together in a totally wacky creative way without throwing off the film. There is a lot going on in this film, but it’s not as confusing as one might expect after reading other reviews. And Bridget Lin is hot in this film (for a change from playing dudes). The blu-ray! Guess what? It’s what you expected! Fair video and fair audio! What did you expect – Fortune Star actually remastering the films in their catalog that are considered HK classics? Of course not. I compared my Hong Kong Legends DVD to this blu-ray and they both have their advantages and disadvantages. I really didn’t see a huge difference between the video quality on both versions. If you want the warmer colored version (skies are blue on the DVD), then buy the Hong Kong Legends blu-ray. If you want the brighter overcast colored version (skies are overcast on the blu-ray), then buy the blu-ray. Zu Warriors From the Mountain also has tons of dark scenes in the film. So you know what to expect with Fortune Star and dark scenes – not too impressive. For anyone that has bought previous Fortune Star blu-rays, we all know that the blu-ray only sort of looks good during day scenes. I looked at backgrounds and foregrounds and closeups and long shots between both versions, and I still didn’t see a great big difference. Sure the blu-ray is more or less clean, but so was the Hong Kong Legends DVD. They both look different but I can’t honestly say which one looks better. It’s sort of like the Predator Ultimate Edition scenario – some people like the old blu-ray with the grain, while others prefer the new Predator blu-ray with the grain-free DNR video. The same goes for this blu-ray of Zu Warriors. I like both the blu-ray and DVD for different reasons. I only have a 37 inch HDTV, so maybe the DVD will look worse on a bigger screen, but on less than 40 inches, they both look similar. I think I prefered the look of the old school special effects on the blu-ray more than the DVD but that’s just a personal preference. The special effects looked good on the DVD too. 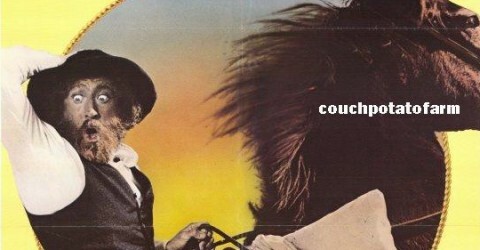 The audios on both DVD and blu-ray aren’t that impressive. It’s a tie of mediocrity. They both have a muffled wierdness to them. But it certainly doesn’t distract from enjoying this film on video, and at least the blu-ray audio is mixed well in which I don’t need to deal with the volume control. Extra-wise, the Hong Kong Legends DVD wins due to the English dub and the audio commentary, while the blu-ray only has a trailer and an interview…. but wait, there’s a big positive surprise on the blu-ray. While I sort of officially swore to stop buying old HK movies put out by Fortune Star due to lousy English subtitles, I took a chance with Zu. On the back cover, it shows Chinglish subtitles that would make your Chinese food delivery man proud, but I still took a chance. I reminded myself that English subtitles on HK DVDs/blu-rays from movies released in the 1960s to late 1970s have good English subtitles. Zu Warriors came out in 1983 so I took the chance that 1983 would round out to 1980 (aka the last year of the 70s) and I gambled well – the English subtitles are very good! The English subtitles are not only smoother and better translated than the wordy Hong Kong Legends DVD, but they look better as well. The subtitles on the blu-ray has regular style font font, while the English subtitles on the Hong Kong Legends DVD are this ugly-looking captalized font that looks like font that’s used for the Fast and the Furious posters. So overall, I prefer to watch the blu-ray mainly because the English subtitles look better and have a more natural translation. If you already own the Hong Kong Legends DVD, then it’s perfectly fine to stick with that. If you never owned the Hong Kong Legends DVD, then I recommend the blu-ray mainly for the English subtitles. Note: I never owned any of the Hong Kong Fortune Star NTSC Region 3 DVDs, so I don’t know how they compare to the Hong Kong Legends PAL DVD.